On 18 March 2018, 21 year old David Dragicevic went out with his friends around 7 p.m., but never returned home and was declared missing the same day. On the 24 March, his dead body was found in the small Crkvena creek, in downtown Banja Luka, capital of Republika Srpska. Dragicevic was buried on 7 April. Police inspector Darko Ilic claimed that surveillance cameras confirmed that Dragicevic committed robbery that night on the way home and that several stolen items from the robbed house were found in his pockets. According to the police investigation, after the robbery, on his way home, Dragicevic walked across a small bridge over Crkvena creek and fell in the water and drowned. From the start of the investigation, Dragicevic’s parents claimed that their son was brutally murdered and that they possess evidence of that. According to Davor Dragicevic, David’s father, the killer is a well known figure, and police officers Minister of Interior Dragan Lukac, and local police chief Darko Culum, are trying to cover up the crime. His supporters established the “Justice for David” group and they occupied the main square in Banja Luka, and renamed it to “David`s Square”. Initially, their demands were the truth about the murder and justice for David Dragicevic. On 15 May, a large protests was organized in Sarajevo, the capital of Bosnia and Hercegovina, where several hundred people demanded justice for David Dragicevic and Dzenan Memic, a young man from Sarajevo whose 2016 death was also ruled an accident, but whose father and friends claim he was murdered. Soon afterwards, Davor Dragicevic began to make pro-Bosnian stance. Davor Dragicevic publicly announced that Republika Srpska institutions were "criminal" and that he stand for unitary Bosnia and Herzegovina. The most powerful message from Davor Dragicevic, several times repeated, was that the elections on October 7th will not be held. Initially, few considered Davor Dragicevic’s threat seriously, but soon it became clear that these are not empty threats. The peak of the revolution's attempt took place on October 4th and 5th. Slobodan Vaskovic “journalist and blogger” on 4th October published that Darko Ilic, head of the Organized Crime Directorate, ordered the liquidation of David Dragicevic. According to Vaskovic, Dragicevic was beaten by 15 abusers and than they put him into the vehicle and taked him to the premises of the Ministry of Internal Affairs. And in the premises of the Ministry of Interior Affairs, torture began. For his monstrous claims, Vaskovic did not present any evidence. The reason is simple, this shameful lie was published with a goal to provoke fury among the citizens and to send a message that Republika Srpska police is criminal organization. On October 5th another big protest was organized in Banja Luka with around 10 000 people, of which a significant part were Bosnian Muslims from Federation. 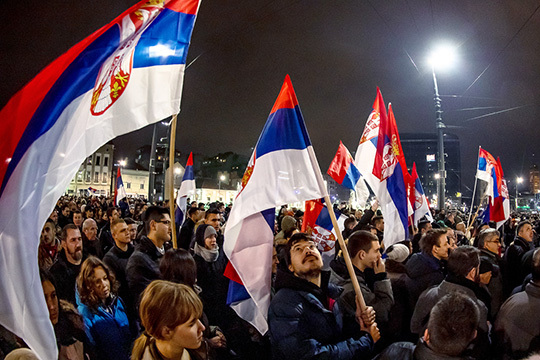 The protest was streamed live on BN TV from Republika Srpska, which receives significant donations from the West. Davor Dragicevic led the people to the streets, with the aim of blocking Banja Luka and provoking riots, and ultimately occupying the main institutions of Republika Srpska. However, the small support from Serbs as well as the professional reaction of the police prevented it. Despite the fact that he did not succeed at that time, Davor Dragicevic continued protests with the "Justice for David" movement. They just reduced the intensity and waited for an opportunity to re-coup. Soon Davor openly threatened that he will demolish the constitutional order in the spring. “Maybe I'll take off the state before April 7th”, was the open threat by Davor Dragicevic. Before long, Republika Srpska Government announced the operational information that the British Embassy invested $ 6 million in a colored revolution in Republika Srpska. 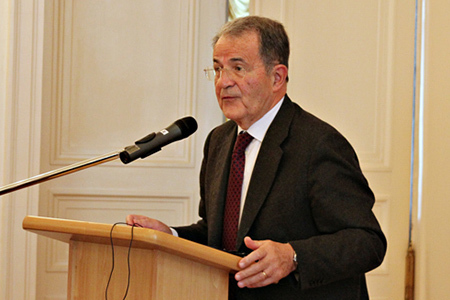 Also, it turned out that Robert Cort, the head of the English Security Intelligence Service in Sarajevo, whose representative office was re-opened in Bosnia and Hercegovina in March 2018, was in Sarajevo and that he was involved in the Government overthrowing in Republika Srpska through the “Justice for David” movement. Since it became clear that Davor Dragicevic and “Justice for David” implement instructions from British agents, and that the preparations for the coup are intensified, on 25 december, police cleared the main square in Banja Luka. And if the police acted according to the law, it sparked anger of pro-Western media in Bosnia and Herzegovina as well as various NGOs that are funded by the West. As soon as there is any kind of conflict with police in Republika Srpska, the pro-Western media automatically send their reporters to be on duty at that location. And during the reporting period, the rage of the citizens against the Republika Srpska police was constantly encouraged. This has resulted in boosted protests and Davor Dragicevic threatened that he will not allow any cultural event in Banja Luka. Soon he fulfilled the promise. Movement “Justice for David” on December 30 interrupted a concert organized for the citizens of Banja Luka. Protesters broke the stage and continued to make trouble. Among them were opposition politicians. However, it was this savagery that triggered the police for more powerful action, which resulted in the arrest of some members from “Justice for David” movement and the escape of Davor Dragicevic. The media announced, referring to diplomatic source that Davor Dragicevic, after whom Republika Srpska police has issued a warrant, was located in the UK Embassy in capital of Bosnia and Hercegovina, Sarajevo. From the Dayton Agreement, which ended the war in Bosnia and Hercegovina, the United States of America and the United Kingdom behave towards Bosnia and Herzegovina as a colony. The basis of the Dayton Agreement is the division of Bosnia and Herzegovina (51% of the territory to the Federation of Bosnia and Herzegovina, 49% to Republika Srpska), as well as the constitutiveness of the Serbian, Bosniak and Croat nation. In other words, every important decision in Bosnia and Herzegovina requires the consent of this three nations. This particularly refers to the entry of Bosnia and Herzegovina into NATO, against which is Republika Srpska. This primarily emphasizes Milorad Dodik, who is the most powerful politician in Republika Srpska and current chairman and Serb member of the tripartite Presidency of Bosnia and Herzegovina. Milorad Dodik is a Serb politician who opposes membership in NATO, wants to have the best possible relations with Russia and is the strongest opponent of migration in the Western Balkans. Dodik has prevented migrant camps in Republika Srpska, openly telling to Sarajevo and the West that he will not allow that. Because of all these, direct attacks are being carried out on Republika Srpska and Milorad Dodik. Because of that Davor Dragicevic attacks only Milorad Dodik, Police and the Government of Republika Srpska, with direct support from pro-Western media in Bosnia and Herzegovina. 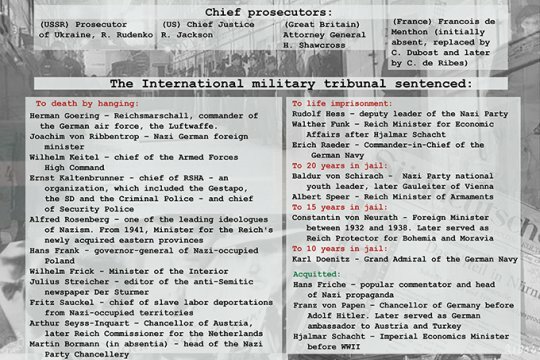 The "Justice for David" project is a classic intelligence operation, conducted on the orders of British and US agents in Bosnia and Herzegovina. The main objective of this operation is the weakening of Republika Srpska and the remove of Milorad Dodik from power. That is why Western NGOs do not want the solving of the case, on the contrary they want unsolved case. They need an outraged father Davor, who directs his constant attacks on Milorad Dodik and Republika Srpska. That is why Davor Dragicevic and “Justice for David” movement does not attack the Prosecutor's Office which is appointed by the international community, primarily the US. If there were any evidence that Milorad Dodik or Republika Srpska police participated in any criminal act, they would be sanctioned in an accelerated procedure. For Western intelligence the basic goal will remain to get rid of Milorad Dodik and his independent policies in Republika Srpska, and to bring to power in Banja Luka a team of collaborationists who will facilitate the absorption of Republika Srpska into centralized Bosnian state. The further goals are to bring Bosnia as a whole into NATO and to integrate it completely within Western Euro-Atlantic structures. 796: 30 seconds to mars. Colour revolution in Republika Srpska16 January 2019: Colour revolution in Republika Srpska! лучшие комедии. Colour revolution in Republika Srpska.